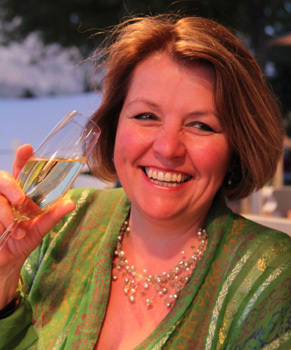 Welcome to my travel blog ‘the Globetrotter Foodie’, an exciting new travel and food blog. It’s all about exploring the world through the eyes of a foodie. I will give you an insight of ‘the world of food’ beyond Cambridge and how to get under the skin of a destination. Creating exciting food tours in Cambridge hasn’t just come overnight. Bitten by the travel bug at the age of 13 brought me to many exciting destinations. From Europe to Russia, Prague, the Middle East and the Far East to India, New York, the North East Coast of America and Canada to Cuba and Southern Africa. I was very fortunate to live in Cape Town for over 2.5 years. As they say ‘once Capie, always a Capie’ and this is certainly true for me! All these travel experiences have contributed to my food tours in Cambridge. Quoted many years ago as ‘the clone city of the UK’, this quintessential English town is actually pickled with international cuisine. My travel is always fuelled by food, local markets and mingling with local people. I’m looking forward to sharing all these adventures with you and maybe I inspire you to retrace my footsteps. Unfortunately I cannot share any travels from before 2012 with you as I didn’t record them with modern day tools, but as I revisit them I will feed in my previous experiences. What would I do without somebody to dine with, carry my bags and to make the best shots during my travels? Escaping from the ‘law’, he isn’t just a good travel buddy, good chef and great husband, but an excellent photographer too. Many of his photo’s feature on Pinterest, my blog and elsewhere. Looking forward to sharing the best things in life with you – food – travel – exploring the world! Travel and food are in my genes and I love to share these with my followers. Please drop me a line if you would like to review your destination. If time allows, we would love to incorporate this in our foodie travel blog.